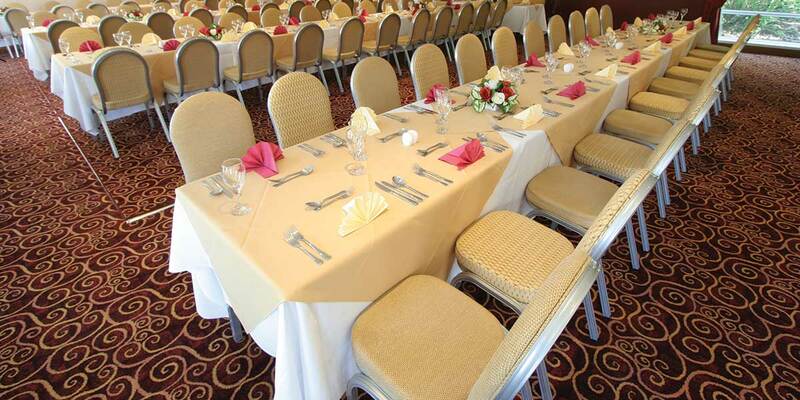 Our self contained function suite is an air conditioned, warm, bright and spacious facility with patio doors that open onto our outdoor seating area – perfect for summer weddings. Weddings are our speciality and we can organise every detail from wedding ceremony to evening reception. Why not have a party, anniversary, conference, promotional event or family reunion. Funerals are also respectfully catered for. Whatever your requirements are our functions manager will be pleased to assist you.